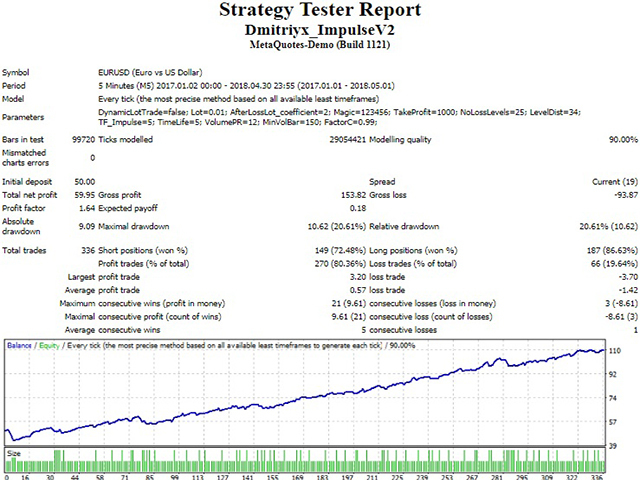 A scalper with the analysis of the current price dynamics when it deviates from the average value. Uses pending orders in the impulse direction, at a fixed distance, then moves the pending order in the direction of correction. You can configure the number of pending orders to be placed in the signal direction - the distance between the pending orders is LevelDist, the lot value of each new order is equal to a half of the previous one. After the closure of the impulse candlestick, pending orders, which did not trigger, are deleted and the EA waits for the next entry signal. The EA works on any timeframe. Optimized for trading on EURUSD. Optimize parameters before launching on a different pair. Has a built-in option for increasing lot after a losing deal to recover from loss. The EA can use a fixed or a dynamic lot depending on the deposit size, calculated per 100 units of the basic currency. With default settings, the EA can trade on deposits starting at 50 currency units (50 dollars or 50 cents on cent accounts). Depending on settings, each order is accompanied by wither a trailing stop or a fixed stop loss. The EA has protection against spread widening, allowing to set maximum tolerable spread when opening a position. It is not recommended to use on highly volatile currency pairs with a deep correction without optimization, as well as on accounts with the spread value above 20 pips. OpenOrderCount - the number of pending orders to be placed on a signal candlestick. 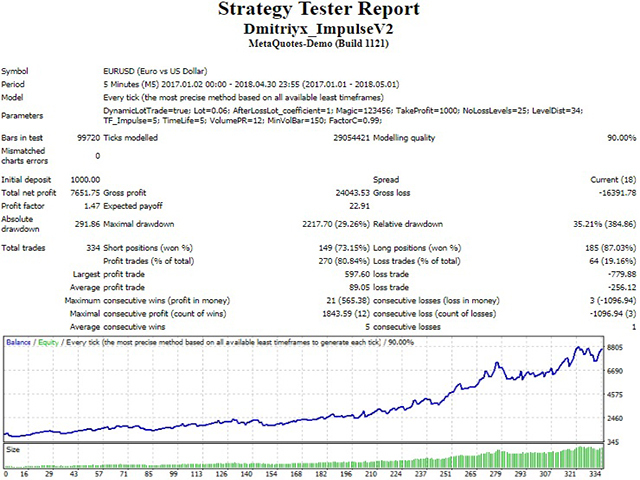 MaxSpread - maximum allowable spread in pips. Исправлены некоторые ошибки трала, доработаны функции открытия ордеров и слежения за открытыми ордерами. Немного изменена логика фильтров. В целом значительно увеличена прибыльность и уменьшена просадка. Updated signal generation algorithm. Reduced lifetime of pending orders. Added algorithm for placing additional orders. 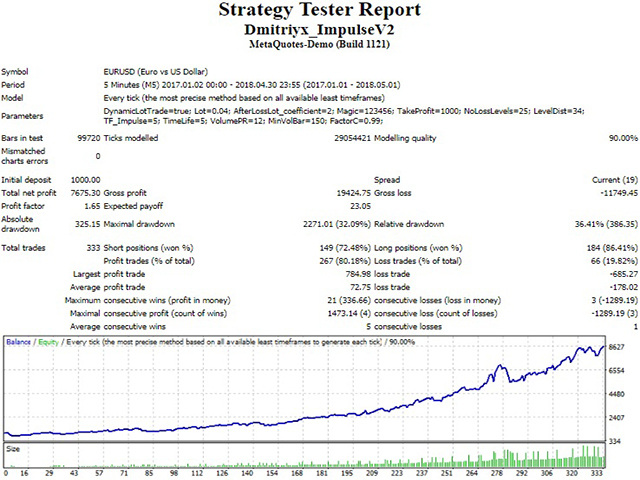 In general, the drawdown has been reduced while profitability has improved. Protection against spread widening has been added. Default parameters are optimized for use with a wide spread, so can be used with spread up to 36 pips. If your broker provides lower spreads, results can be much better.